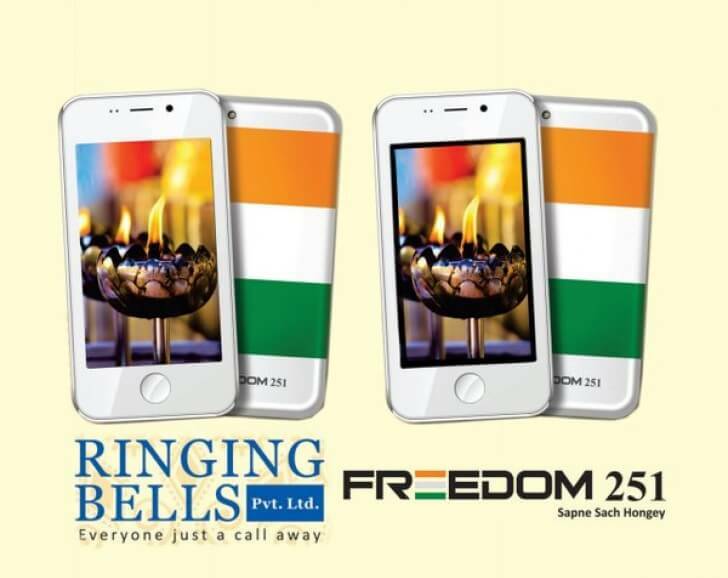 Creating an interesting twist in the Freedom 251 smartphone case, the Allahabad High Court (HC) ruled that no coercive steps should be taken against Ringing Bells Pvt. Ltd until the next hearing. The HC claimed the matter as ‘seemed premature’. The ruling came as a response to the FIR filed against Mohit Goel and Ashok Chadha, the makers of Freedom 251, by BJP MLA Kirit Somaiya for allegedly duping customers. The FIR was filed under the section 420 of IPC. It also stated the company misused the tri-color and has not registered with the Bureau of Indian Standards (BIS). In its first hearing, the HC ordered the UP Government to file a report by 5 April. The report filed by the police safeguarded Freedom 251 makers, saying that the money collected during the pre-booking of the phone is duly being refunded as the company has changed its pricing strategy as ‘cash-on-delivery’. This triggered the Court to offer relief to Mohit Goel and Ashok Chadha and allowed them to move the application for release of their passports. According to the division bench, comprising of Justice B. K. Narayan and Justice R. N. Mishra, indicating the offence of section 420 of IPC may not be valid for this instance. The bench said that the company should be given a chance to fulfill their commitment. “The company has already sold 28,000 units of its other products and has developed innovative strategies to meet its cost for delivering the smartphone for Rs. 251 to its customers. The company’s aim is to reduce the digital divide between urban and rural India by selling the smartphone for Rs. 251,” Vikram added. The saga began on February 15, when an unknown Noida-based company Ringing Bells Pvt. Ltd started sending media invite for the launch of ‘India’s most affordable smartphone’ called Freedom 251. Soon, it was found that the phone that costs Rs. 251 is a blatant copy of Adcom Ikon 4, which is priced at Rs. 4,081. The company defied all rumors saying that the device shown to media was only a prototype and the real device will be available only in June. However, there were apprehensions on how the company could now set up the factory, manufacture the actual phone and deliver to the customers as promised in June. 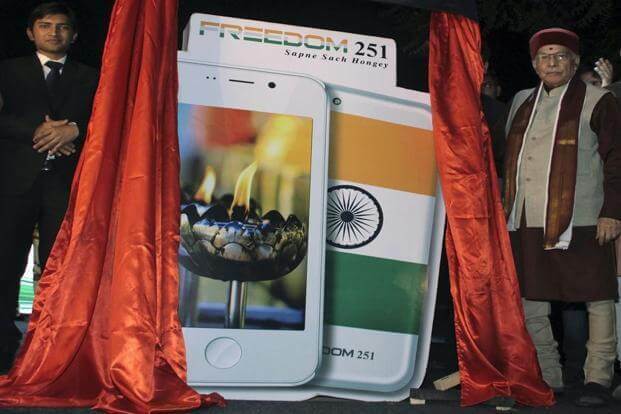 The booking for Freedom 251 started on February 17 garnered more than 30,000 bookings on day one and its website freedom251.com received as many as 600,000 hits per second on day one. In two days, the company claimed to have received seven crore registrations. Very soon, The Indian Cellular Association (ICA) along with the Telecom Ministry expressed concerns about the company. Considering the specifications of Freedom 251 smartphone, Android 5.1 operating system, a 4-inch qHD IPS display, a 3.2-megapixel primary and a 0.3-megapixel front camera, the Ministry concluded that such a device cannot be offered for less than Rs. 2300 – 2,400. Based on a letter by BJP MP Kirit Somaiya to the Ministry, the Telecom Minister Ravi Shankar Prasad asked Department of Electronics and IT Secretary Aruna Sharma to investigate the matter. Meanwhile, the company also came under the radar of the Income Tax department. The company remained unruffled and said its target is to sell 5,000,000 smartphones only — 2,500,000 to those people who booked online, and 2,500,000 people to those who book offline. Owing to the pressure from the people, the makers made the model cash-on-delivery, asking people to pay only after receiving the smartphone. The company also announced that it will refund the money of 30,000 people who booked the smartphone on day one. I hope they actually deliver 5 lakhs handset they have promised. Else one day we will hear news, freedom 251 is just vanished.